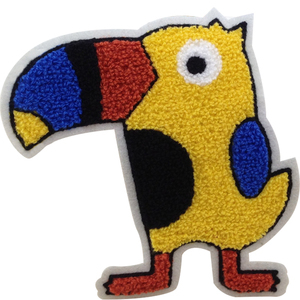 6 YRS Shenzhen Wan Zelong Textile Products Co., Ltd.
embroidered button loop patch funny boy scout patches following is the normal shipping time for your reference. 1 YRS Zhuji Silin Trade Co., Ltd.
9 YRS Shenzhen Skywing Leather Gifts Co., Ltd.
6 YRS Yiwu Sangor Import And Export Co., Ltd.
yiwu sangor caps is a manufacturer of various caps. custom design accept custom order,and we can do the order exactly as clients request. 2 YRS Dongguan PSB Garment Accessories Co., Ltd.
10 YRS Xiamen Xinlimin Industry&Trade Co., Ltd.
We follow the fashions and trends all the time, and customized fashion products for you. Our state of the art equipment and experienced printers can help you achieve the perfect look for your labeling needs. Our Company Order Process Tips If there are any details of our products and company you want to know please contact us. 6 YRS Nanjing Yizhijin Garment Accessory Co., Ltd.
basis finishing cold cut, die cut, heat cut, laser cut, ultrasonic cut ect. and our factory located in nanjing city. ,Limited & Guangdong Childrens Clothing MFG Associates Co.,Limited. We registered Guangdong Childrens Clothing MFG Associates Co. ,Limited in HK and registered Guangzhou Hainiu Children Clothing Co.
1 YRS Tianjin Co-Linked Enterprise Management Service Co., Ltd.
2 YRS Dongguan Sunshine Button Co., Ltd.
15 YRS Dongguan Jian Plastic & Metal Products Ltd.
Well experience embroidered patches no minimum Thread Type Options: rayon thread, polyester thread, luminous thread, UV thread, (gold/silver) metalic thread Tread Colors: according to thread color chart or PMS number Background Fabric Options: twill, velvet, felt, reflective fabric or other special fabric Fabric colors: choose from the polyester twill/velvet/felt color chart Embroidery Area can be 30%, 50%, 75%, 100% Backing Options: iron on, hard PVC, paper coating, adhesive tape, no backing Border Options: merrowed, hand cut, heat cut Special Design Options: 3D design, with printing, with button loop. Application: 1. Can be widely used for: military, police, fire department, security service, government department, sporting clubs, sporting teams, scholastic awards, promotional attire, official delegate uniforms, commemorative events. 2. Can be adhered to: shirts, jackets, bags, hats or any other article of clothing MOQ: 100pcs per design Delivery: 3-7 days for samples, about 14 days for production Customized designs are highly We have got rich OEM experience since 1984. 9 YRS Dongguan Shiujan Garment Accessories Co., Ltd.
Q2.Can I get some discount if I order more9 Yes. Q5.Can you make customized designs goods9 Yes. We can make your customized designs goods. 4 YRS Guangzhou M.SEVEN Textile Co., Ltd.
3. We are glad to send samples for your inspection. But Some samples are charged and you need to pay the courier fee. Our advance 1. We specializing in garment accessory industry more than 10 years , we can provide the goods with best quality and best price. 5 YRS Ningbo Hojo Fashion Crafts Co., Ltd.
We can satisfy your needs and custom any kinds of creativity in everyone, young or old, boy or girl. About the sample 9 if the products you ask have stock, we can sent to you free, but you need to take the freight charge, or shipped by your collect express . if the samples you ask need to custom, you need to pay both on sample and freight. 4 YRS Guangzhou Nordi Handicraft Co., Ltd. Custom Button Loop Plastic Backing /Embroidery Patches Material: T will, cotton, velvet, satin, leather, felt, jeans etc. 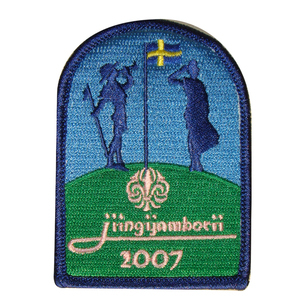 At least if you are interested in badges they are interesting. To the left is a detail of an embroidered badge showing the raised stitching and traditional feel only possible with embroidery. 5 YRS Pujiang QiaoQiao Crystal Co., Ltd.
After receiving the order, usually we are by species scattered with PP bag products, installed, and then wrapped with plastic foam one to two laps. If the product is more we will be packaged with foam product into the box, and then shipped together. About Logistics: We usually send by China Post air parcel or China Post air Mail , it has the advantage in most countries by the post office will be the product to the customer. 11 YRS Sun Rise Garments Co., Ltd.
We can design and produce lace,patch, and garment which is 100% cotton or combine with other fabrics. We can design and produce lace, patch, and garment which is 100% cotton or combine with other fabrics. We also have ready stock for badges. 9)Description:Widely used as fashion accessories applied to apparels,garments,clothes,uniforms,pants,shorts,caps,bags etc. 10)Sample time:2 days 11)Bulk lead-time:7-10 days 12)MOQ:50pcs 13)Payment terms:paypal,T/T,western union etc. 14)Delievery:by air express:EMS,DHL,TNT,UPS,FEDEX,etc 15)usage:garment,T-shirt,pant,decoration,handbags,uniforms,caps,leisure wear. 8 YRS Dongguan Dingzhipin Garments Co., Ltd.
1 YRS Guangzhou Lixin Accessories Co., Ltd.
9 YRS Shenzhen Nonstop Technology Co., Ltd.
3 YRS Liyu Security & Protection Products (Shanghai) Co., Ltd.
3 YRS Dongguan Zhuoyi Garment Accessories Co., Ltd.
this method is ideal for name patches (patches that display name or position of the user. this is usually used for much simpler patches that displays words or numbers only. the right place to get iron on embroidered patches uniflying is a professional rhinestone heat transfer manufacturer in china . widely adoption of high viscosity silicone paper, and all materials of rhinestone transfer are in accordance with the industry standards. 11 YRS Guangzhou Fucun Garment Accessories Co., Ltd.
ewelry applique rhinestone for garment Series rhinestone trimming Item name rhinestone lace Brand name Fucun Material alloy & glass stone Color clear Size 13cm*8cm Technique plating & welding Package individual,fastness Sample available Minimum order 30pcs cutomed design is welcomed! Looking forward for your inquiry! 1 YRS Yiwu Xinshu Trading Co., Ltd.
Alibaba.com offers 6,883 button patches products. About 6% of these are patches, 1% are eye mask. A wide variety of button patches options are available to you, such as handmade, eco-friendly, and 3d. You can also choose from embroidered, beaded, and appliqued. As well as from iron-on, sew-on. And whether button patches is rubber, 100% cotton, or leather. There are 6,883 button patches suppliers, mainly located in Asia. The top supplying country is China (Mainland), which supply 100% of button patches respectively. Button patches products are most popular in North America, Western Europe, and Oceania. You can ensure product safety by selecting from certified suppliers, including 1,079 with Other, 411 with ISO9001, and 389 with BSCI certification.